Width: Min 4' Max 7' 6" centre to centre of uprights. Height: Max 8' to bottom of first horizontal truss. Depth: Max 4' 6" from wall to outside of upright. 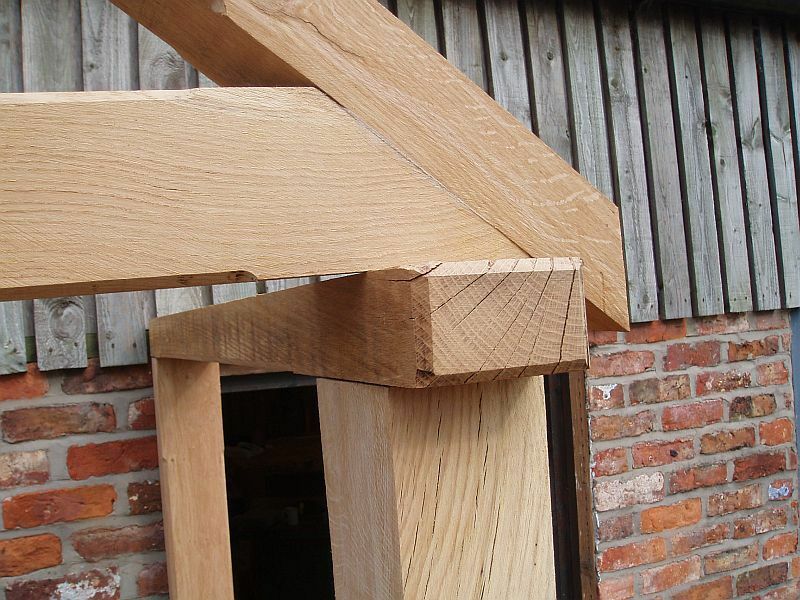 Please note the porch pictured has been treated with linseed oil, which we recommend for the best finish, but we supply the timber untreated for ease of handling during assembly. 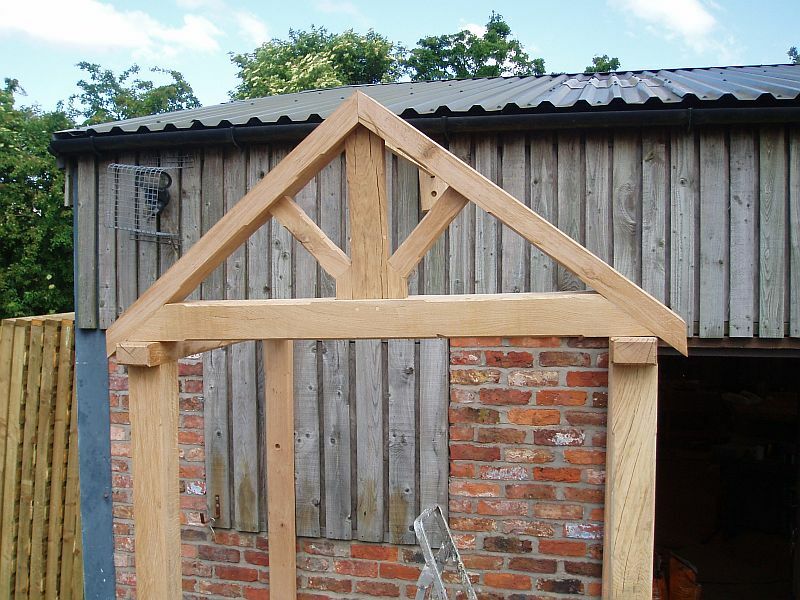 The pictures below show an older design of porch but give you an idea what they look like in-situ. Made completely of solid oak. 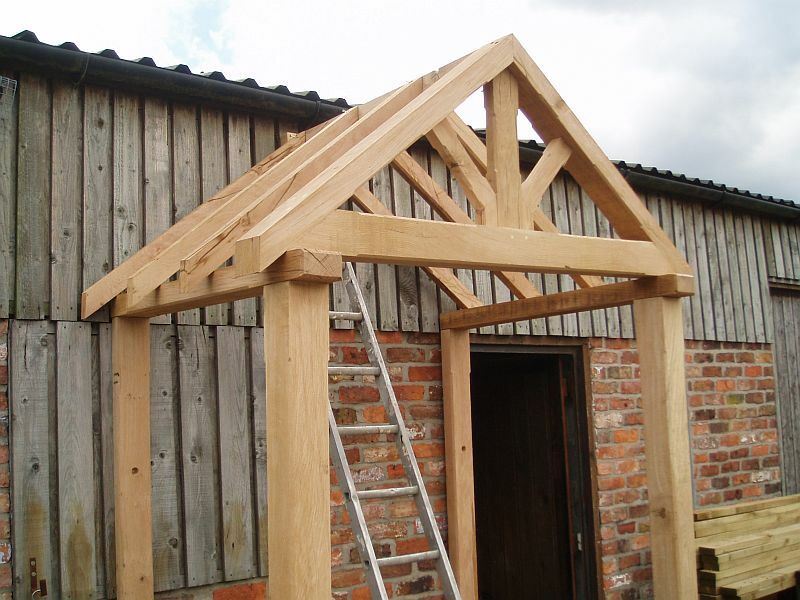 Designed to fit over standard doorways 4ft (120cm) wide, but can also be made to your specification. Please inquire for dimensions. Comes in 8 components with all mortices ready fixed. Easy to assemble. Ready for felt and slating or tiles.